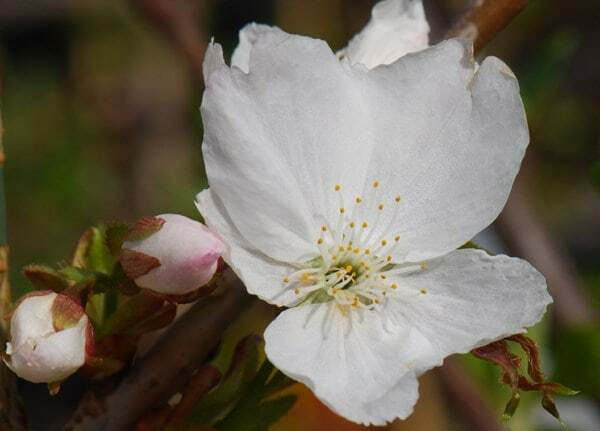 Pale pink buds cover the branches in mid-spring, opening to large, often 6cm (2½in) wide, white flowers which hang in small clusters among the young bronze foliage. The leaves turn rich green as they mature through the summer, before turning shades of yellow and orange in autumn. The coppery-red, glossy, peeling bark is a bonus. 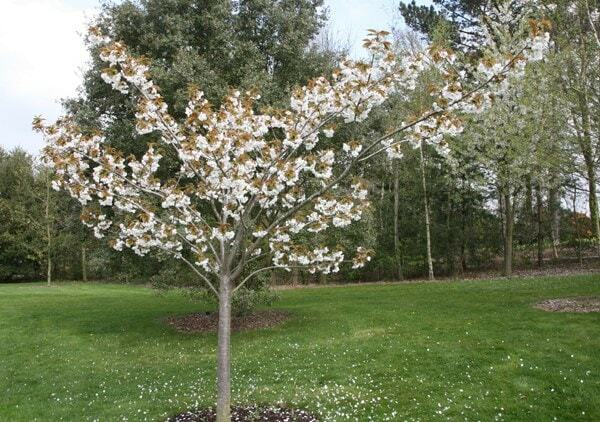 This vigorous, spreading tree provides a dazzling display in spring, which makes it a lovely tree for all gardens. Hello I am looking for a cherry tree with cherries the garden birds can eat. Is this a good option? My garden is 7m x 7m and I was hoping that I could prune to keep the tree small enough if needed. Is this possible with the Tai Haku? I'm hoping to plant one of these in my garden but it would only be about 12 feet from the house. Can you tell me how far the roots spread and would this be too close to the house? Thanks. Hi there This is a lovely tree but I wouldn't recommend planting a Cherry tree this close to the house. 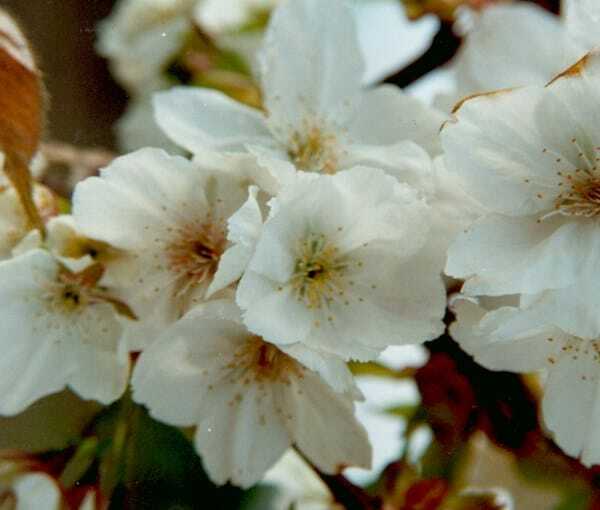 Cherries trees have spreading roots close to the surface, and this particluar variety is a vigorous grower which when mature can have a 10mt branch spread. Sorry to disappoint you.